U.S. President Donald Trump may have broken multiple royal protocols during his visit with Queen Elizabeth II. And, Twitters users were quick to jump on him for it. 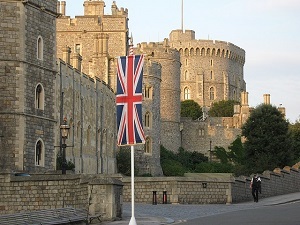 One of the first faux pas Trump did was making the Queen wait for 15 minutes at Windsor Castle before he arrived for his tour of the Guard of Honor. Another possible faux pas is when she directed him with her hands to go the right way, and he turned his back on her. Then stopping right in front of her where the Queen had to awkwardly walk around the president so she wouldn’t run into him. Another possible faux pas is when Trump and First Lady Melania didn’t bow their heads toward the Queen but rather shook her hand. Although it was just several seconds, Twitters users automatically declared the president was breaking protocol and even embarrassing the country with his behavior. One Twitter user said he wasn’t a monarchist but felt the president’s actions were an insult to Britain and he had no class and was completely clueless. Another Twitter user said the president was a classless POS. Royal etiquette expert Grant Harrold said Trump did break protocol when he was standing in front of the Queen. He said the Queen should always be in front, no matter what. Harrold said there were times when the Queen was completely behind him, and that shouldn’t have happened. According to Harrold, the president should be walking alongside the Queen and not in front of her. Before the meeting, on his first day in the country, Trump said Queen Elizabeth II was a great woman He said she’s never made a mistake representing her country and there was nothing embarrassing about her. Posted by News on Jul 15 2018. Filed under Featured, New. You can follow any responses to this entry through the RSS 2.0. Both comments and pings are currently closed.